Community Supported Agriculture (CSA) is a new concept to many people in the Big Country. However, it has been a popular way for local farmers to sell their produce to the surrounding community. CSA's help support the farmer, so farmers can focus on growing. We desire to grow you and your family ultra fresh, nutrient rich, clean and flavorful food, as well as, to introduce you to new vegetables and varieties, and ways of cooking them. At the bottom of the page you will find our 2018 list of vegetables to expect. You may begin ordering at anytime with minimum Harvest Basket orders beginning at $25. We supply you with a reusable Nine Springs Garden bag, which you can keep or return on subsequent orders. Each week our Harvest Basket will include a minimum of five to seven items, freshly picked, nutrient rich, and delicious. These may include vegetables or fruits, and additional herbs (in season). If you would like to place an order, contact us and we will let you know how you can begin ordering healthy clean food! 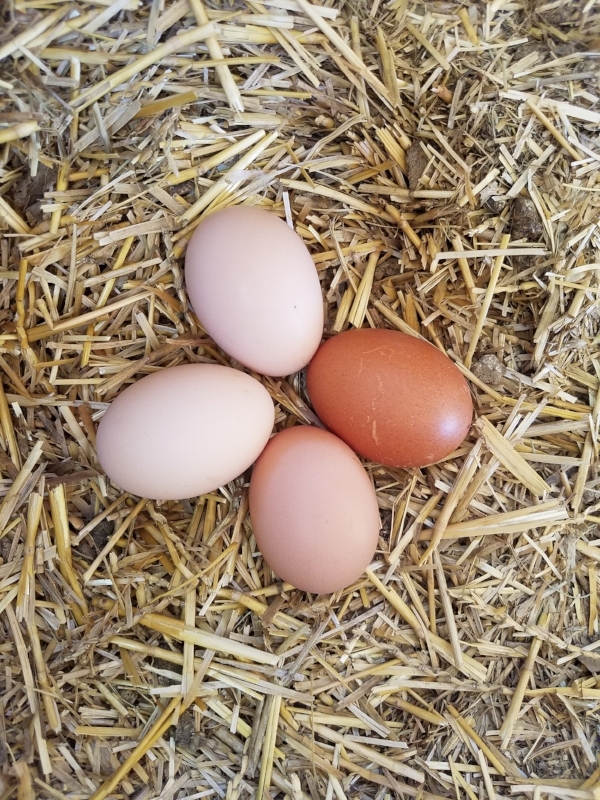 Each week we also have add-on items, such as free range eggs, traditional sourdough breads, organic granolas, or grass-fed beef. At certain times of the year we may also have vegetables or flowers that you can add to your minimum basket order. For more information visit our Questions & Answers page under the “About” heading. Check out our Recipes page for ways of cooking and nutritional information on the produce we grow! Traditional Sourdough Breads made with fresh ground whole wheat and traditional sourdough starter. We use chemical free/non-GMO hard white wheat. Visit our Recipe page to learn why sourdough bread is better for you. Currently available: Rustic Artisan $7 (same as Hearth with a touch of honey), Garlic Herb Braid $7 and Cinnamon Raisin Sourdough $7. Here is what we will be growing in 2018...arugula, beets, broccoli, carrots, cabbage, collards, cucumbers, celery, corn, eggplant, garlic/garlic scapes, green onions, green beans, kale, lettuce, leeks, melons, mustard, okra, onions, pak choi, potatoes, radishes, swiss chard, spinach, sweet and hot peppers, salad mix, summer and winter squash, sweet potatoes and tomatoes. As well as, basil, thyme, oregano, parsley and mint. Fridays 4 -8pm Tea2Go - Catclaw Dr.
We know that life happens, however, if you are unable to pick up your bag during the designated times, please contact us so we can make arrangements. We appreciate and want to honor these generous businesses who support us! You can pay with cash, check or by PayPal.Me below. 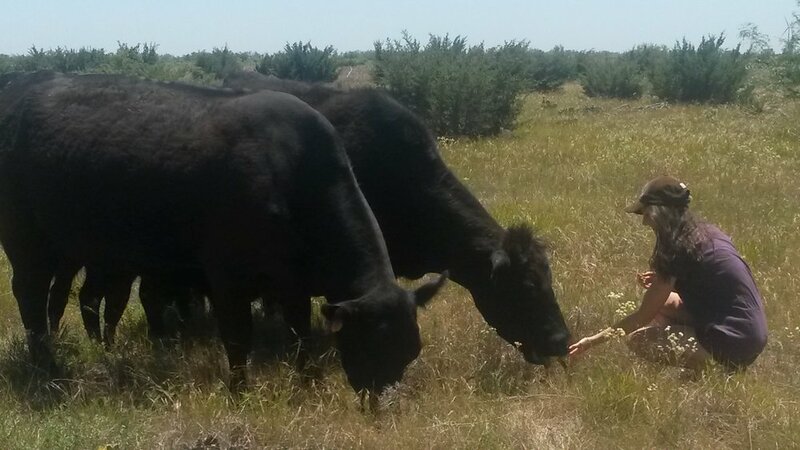 We have grass fed beef available at $7 per pound. If you would like specialty cuts, visit our neighbor and friends at wilksranchcustombeef.com and order ahead. You will pay them directly, but can order and pick up through Nine Springs Garden. Try some of our savory Onion & Red Pepper Jelly on a slice of our breads $7 for a 10 oz. jar. *Currently sold out! We also offer two varieties of granola $4.50 1/2# Honey Pecan or Apple, Date, Raisin & Walnut. We always use simple and healthy organic ingredients in our fresh granola, like organic oats, flax seed meal and real honey.